115 US$ for 2 persons and one 4x4 Toyota Hilux Double Cab. for Third party insurance we have paid a bit more .. was something like 55 dollars if I do remember correctly. attention for visa .. 30 USD is for a single entry, if you want to do activity on the zambian side of the vicfalls would be better to take a double entry. here is the scan of the CVG I had to buy in Zim 2009. Last year I was travelling with somebody else, so they kept the document. We got a list of requirements from AA South Africa which was quite good except that they forgot to mention that the fire extinguisher is now required in all cars so we got fined for not having one. Hi there. 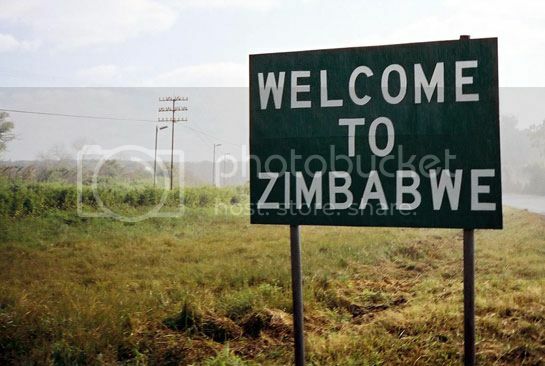 I now this is an old post, but any chance that you know how much would be current price to cross into Zimbabwe with a rented 4x4?